how best to preserve independence without sacrificing choice and autonomy. 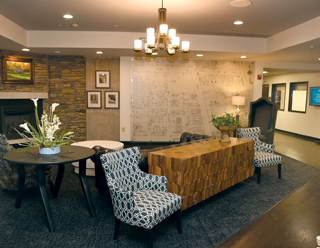 Furniture and furnishings in the senior living setting cannot simply look good. They must also be capable of taking a beating. New innovations are blending comfort and durability. Bathing can present unique challenges in the senior living setting. But a new generation of bathing options is helping to take the anxiety out of taking a bath. Converting a hospital without leaving signs of institutional care is no easy challenge, yet Trilogy’s River Terrace has managed to do just that. How can I develop a more sharpened financial focus on my campus, which has multiple living arrangements? The federal government is aggressively attempting to keep people out of skilled nursing facilities by enrolling them in home- and community-based programs instead, the Associated Press reports. At a time when many senior living providers are taking a stand against proposed minimum wage increases across the country, Juniper Communities is taking the opposite approach. April 1, the company implemented its new 15X20 program, which has the goal of increasing hourly minimum wages in its communities to $15 by the year 2020. 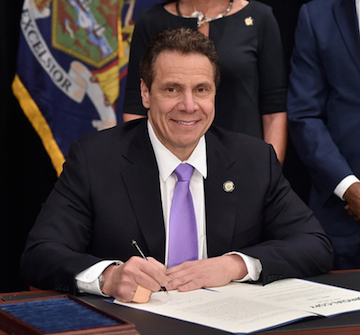 New York’s new law increasing the hourly minimum wage to $15 will result in job loss, assisted living facility closures and resident moves to more costly nursing homes, according to one organization. But it could have been worse, according to another. The aging population will reshape consumer spending in housing, healthcare and technology for decades, notes a recent report.